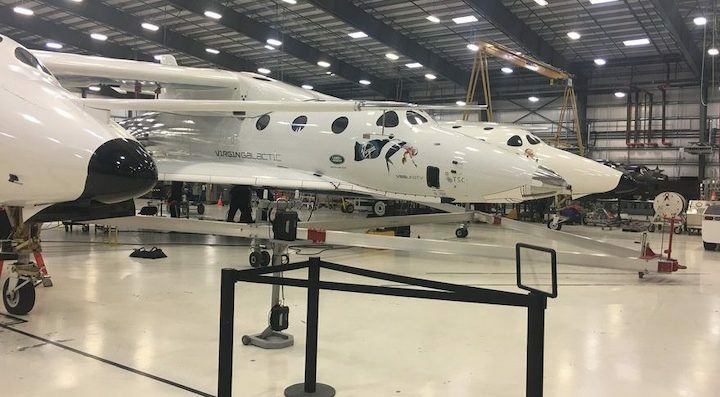 Raumfahrt+Astronomie-Blog von CENAP - Blog: Raumfahrt - Virgin Galactic postpones test flight of its space plane Bad weather grounds VSS Unity, but the company said it would try again in the next few days. Virgin Spaceship Unity glides for the first time after being released from Virgin Mothership Eve over the Mojave Desert on Dec. 3, 2016. 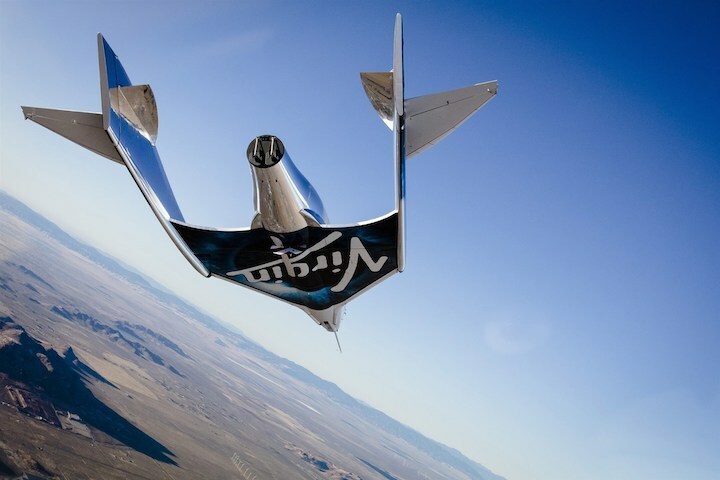 Virgin Galactic has postponed a test flight of its SpaceShipTwo space plane. The test was originally scheduled to take place Wednesday above California's Mojave Desert, but the space tourism company said in a morning tweet that "the Mojave weather isn't cooperating." The company plans to try again in the next few days, according to the tweet. The test will be the fifth powered flight of the space plane and the first since a Dec. 13 test that saw the VSS Unity craft rise to 271,268 feet (51.4 miles, or 82.7 kilometers). That's just shy of the Karman line, an imaginary boundary 100 kilometers above average sea level that is often considered the beginning of space. VSS Unity will fire its motor after being carried aloft and released by a carrier plane, WhiteKnightTwo, which will take off from the Mojave Air and Space Port in Mojave, California. Virgin Galactic has given few details about the test but said it should yield more information about the craft's center of gravity — which is of critical importance to a vehicle's handling characteristics. "We'll have several minutes of weightlessness to enjoy before we come back down," Virgin Galactic's chief pilot, David Mackay, said in a video posted before the planned test. "On the way back down in feather configuration, we'll be looking at how it handles in the feather, how easy it is to control in the feather." Feather configuration refers to the space plane's wings, which extend (fold down) for stability and speed control during reentry and landing. A deadly October 31, 2014 crash of a previous Virgin Galactic space plane was caused when the pilot unlocked the folding wings prematurely. Despite that accident, Virgin Galactic says hundreds of customers have signed up for brief suborbital flights into space. A ticket costs $250,000. Virgin Galactic's founder, British billionaire Richard Branson, has said he's planning on making his own trip into space aboard a company space plane. "My wish is to go up on the 50th anniversary of the moon landing," he said earlier this month. The anniversary of Apollo 11, which brought astronauts to the moon for the first time, falls on July 20. And Virgin Galactic may not be the only option for wannabe astronauts looking for a few minutes of weightlessness in the void. LANCASTER, CALIFORNIA – Virgin Galactic scrubbed the Feb. 20 flight test for SpaceShipTwo, the air-launched suborbital spaceplane, due to high winds in Mojave, California. The flight test is now scheduled for Friday, Feb. 22. That was the case Feb. 20 with forecasts of winds in the 17 to 26 knot range and gusts above 34 knots. “Upper level winds are not much of a concern for us,” Todd Ericson, Virgin Galactic safety and test vice president, told reporters during the briefing. Crosswind during landing, though, are a concern. As Virgin Galactic continues flight testing its second SpaceShipTwo, VSS Unity, it gradually exposes the spaceship to new challenges while carefully tracking its performance. In preparation for flight tests, Virgin Galactic officials also keep an eye on clouds, Whitesides said. Thursday Feb. 21 is expected to be cloudy and windy in Mojave. Forecasts call for sunshine and mild winds on Friday Feb. 22.